Is “foodgasm” a word? If not, someone please tell Mr. Webster to slap these eight letters into his dictionary and to do it quickly. Foodgasm. Wow, What a sensory overload food can be. The quality of bún chả varies greatly and is mostly the ubiquitous but average versions littering Hanoi proving good and filling yet no gastronimical feat. As with anything in life, we must sift through countless duds to every once in a while unearth that glimmering jewel bragging to the world its street food chef has reached the pinnacle of his or her craft. Bún Chả 34 at 34 Hang Than Street near Truc Bach Lake in Hanoi is the promised land, Disney World, and Mecca all rolled up into one. Just stepping across the threshold of this place embarks us on a journey to sensory overload even before the meal has been served. An antique sewing machine still in use occupies the back corner of the narrow dining area amongst other odds and ends one would find stashed away in any tailor’s shop. Once upon a time, I’d have had a hard time reconciling in my mind that food and a sewing machine are complimentary items, but two years in Vietnam have numbed any impulse to even feign shock. 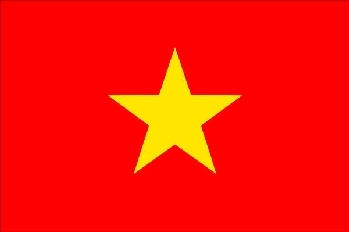 Welcome to my version of Vietnam at its finest. My friend and I wedged ourselves into a miniature seating area atop squat stools and so began a culinary adventure showcasing the best of the best. 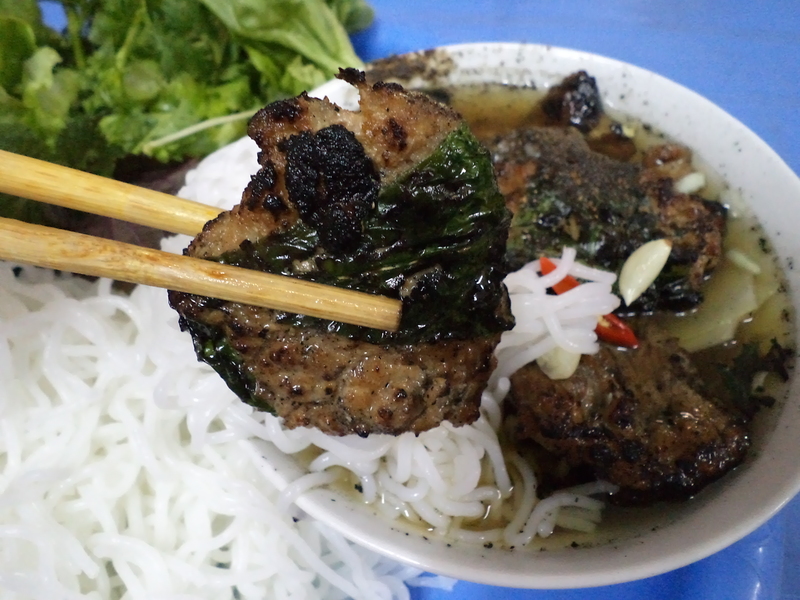 Within minutes our tiny plastic table strained to contain the heaping piles of white rice vermicelli, bowls of sweet fish sauce and molasses based broth spiced with red birds eye chili slices, and a pan of various herbs and lettuce leaves. Floating around in the broth were pickled strips of unripe mango and the two stars of our lunch…tiny medallions of ground pork along with strips the thickness of Canadian bacon. Let me just put this in plain English without any flowery hyperbole. These pieces of pig (actually no, something this amazing is a morsel) have the most wonderful crispy outer charred layer meat could ever hope for. Their skins hold back inner softness and juices yearning to be set free. Fat and gristle are not even a concept here though other bun chả stands scattered across Vietnam seem to think inedible meats are part and parcel of a Michelin rated street food experience. Let’s just leave those places to the novices and tourists. 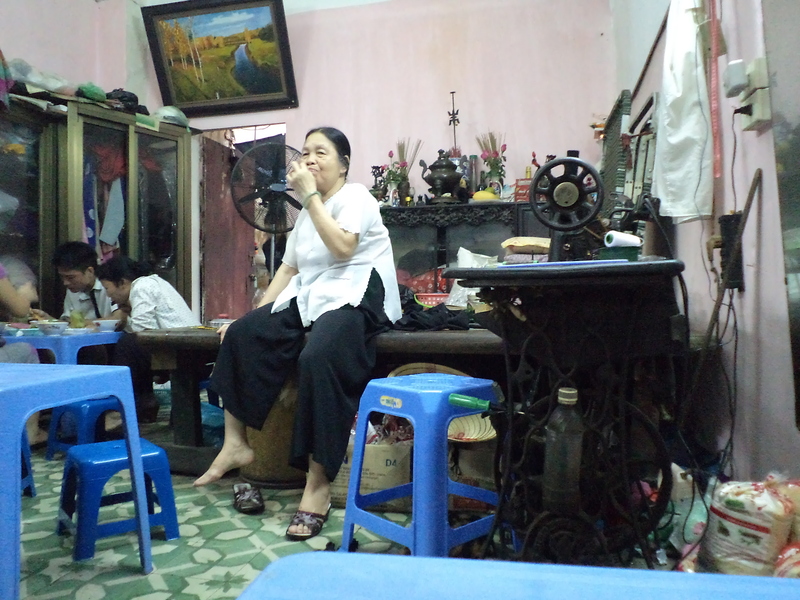 We are in the know here at this slice of hidden Hanoi. The little details are what set Bún Chả 34’s version of a Hanoi street food classic apart from its peers. The sticky noodles impart no hint of sourness across the tongue as the cheaper versions at other places do. Indeed, these exude full on sweetness. A healthy dose of finely ground black pepper coats the pork and delivers a slow tongue burn lingering long past the actual meal. I watched as a woman wrapped some sort of green herb around pieces of meat fresh off the grill, and then this fusion was sent back to the flames for one final singe. While leaving the restaurant, its secret revealed itself behind a plastic sheet hiding an exhaust fan sucking smoke out of a very narrow alley. A fire hotter and brighter than any I have ever seen cross paths with meat sent a wave of heat and oily smoke our way. A tiny girl crouched next to the grill sizzled lunch to perfection. 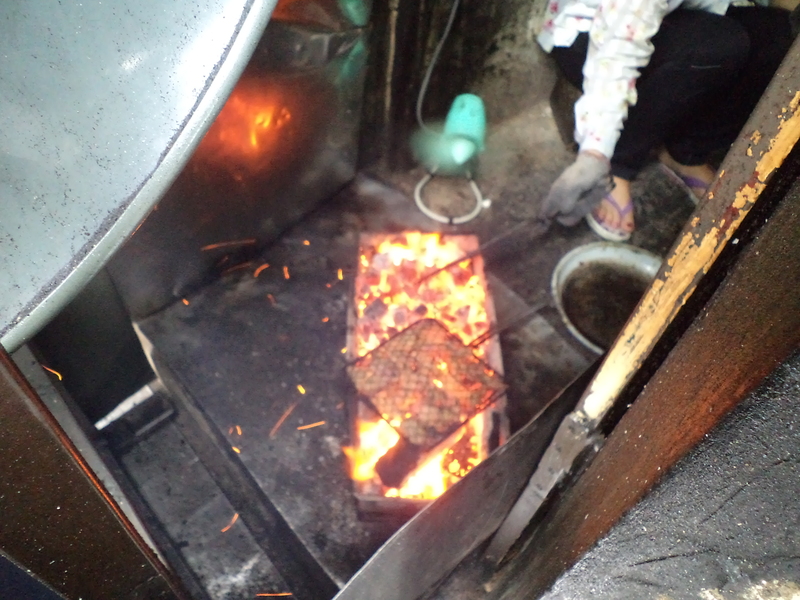 Red hot coals energized by an electric fan’s constant breeze seem to be the holy grail unlocking the intense flavors of pig. Whatever Bun Cha 34 is doing will bring me back again and again. Yes, foodgasm. What a great experience indeed.